If you need a go getting, dynamic, experienced brokerage to handle all your property management and real estate needs, you’re in the right place! Clients 1st Property Management Specialists is a full-service real estate firm serving the metro-Atlanta and surrounding areas. 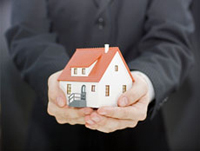 We provide quality, reliable services for our homeowners, buyers, tenants, investors and associations.